The marine electronics industry drew a record number of participants this year to its premier trade show. 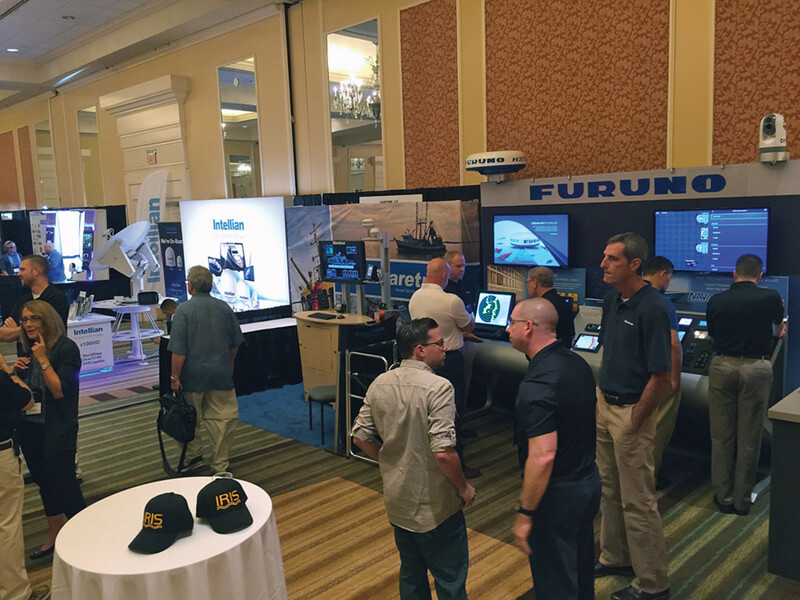 More than 450 people gathered at the National Marine Electronics Association’s 2016 International Marine Electronics Conference & Expo in Naples, Fla. It featured 50 exhibits, in-water boat demos and dozens of educational sessions. All of the exhibitors are marine electronics manufacturers. The expo was held at the Naples Grande Beach Resort from Sept. 19-22. The show is held every other year in a Florida location, and on the West Coast or East Coast (in a variety of locations) during non-Florida years to “better serve the NMEA members in those areas,” Reedenauer says. Next year’s edition will be in Bellevue, Wash. The 2012 show in Orlando drew a turnout of 425. The event has consistently strengthened since the Great Recession — particularly since 2011, when the association began holding education sessions. Those classes, which cover technical and business aspects of the trade, really ramped up in 2012, Reedenauer says. “Now the sessions account for about 50 percent of the show,” he says. Twelve sessions were held each day, covering topics that included digital switching, insurance and autopilot installations. And manufacturers held their own training sessions. Several manufacturers brought demo boats with their installed electronics. This is the first year that the 650-member NMEA has coordinated with the American Boat and Yacht Council to hold education sessions for certification. The ABYC held its marine electrical certification course, and the NMEA offered four separate installer-training sessions. I walked the floor on the third day of the show. Exhibitors were hyped up, touting the strengths of the event. Wood was one of those taking advantage of the increase in the educational offerings. He attended three seminars, including digital switching and coastal surveillance. Allen Schneider, senior vice president at Si-Tex Marine Electronics, says the NMEA event is ideal for showing distributors Si-Tex’s new product under development. Si-Tex brought five company employees to the show and says they were taking advantage of the education sessions themselves. Tom Fischer, owner of Fischer Marine Boat and Yacht Sales in Fort Myers, Fla., came to the show to research security systems. He plans to offer them to his customers as an option. Fischer also likes to educate his customers about boater safety, so he was checking out the personal locator beacons on display at the show. Fischer says the NMEA show is a good place to size up — in one location — the full range of electronics equipment and technology. The NMEA show gives Humminbird the chance to make distributors and dealers aware that it offers a complete line of electronics for the saltwater market, says Jeff Davison, senior director of product development. Humminbird has historically built its business in the freshwater market. There were 16 product categories in this year’s Product of Excellence Award competition. 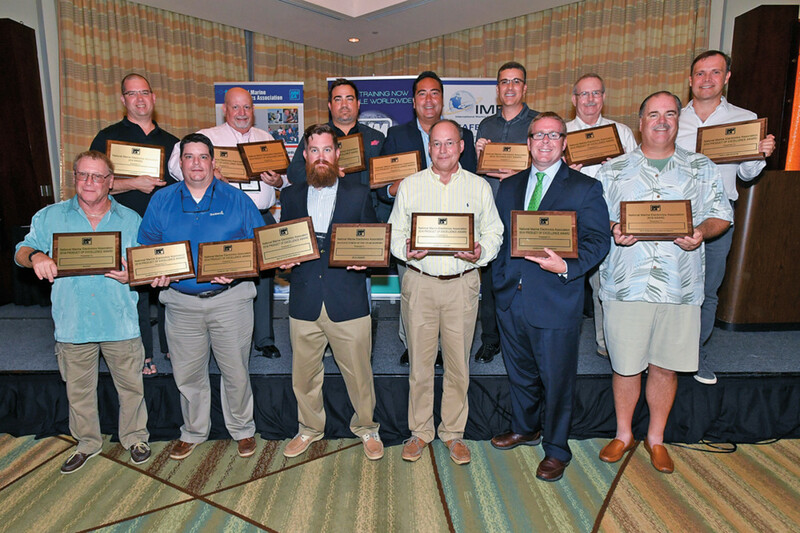 Garmin repeated as manufacturer of the year — support; Furuno Doppler radar won the NMEA technology award. NMEA members selected the winners in an online vote. There were three new categories: commercial, safety and security, and multimedia entertainment. The show had about 20 sponsoring companies, including major sponsors Simrad, Garmin, Gemeco, Great American Insurance Group, Nauticomp, FLIR/Raymarine, Bonnier, CWR Electronics and Soundings Trade Only.